If you are moving a long distance, one thing you may have heard of is the possibility of train transport. Train shipping is a service that is offered by the major rail network operator and can be a viable option for moving your vehicle if you are willing to do some of the work yourself. The most common train transport service is Amtrak car transport. The main problem with shipping cars by train is that you need to take it to the depot yourself and collect it at the other end. Of course, this can lead to problems if the times for your personal transport conflict with the available times for the car train. Another issue that many people have when they ship cars by train is that they do not live, or are not moving to a location which is on the car train route. Of course, this can lead to many difficulties in getting your vehicle to the correct location. If you are in this situation, you should opt for using a car transport service instead of the train transport. A car shipping service will have your vehicle collected and delivered to your chosen locations without any inconvenience to yourself. 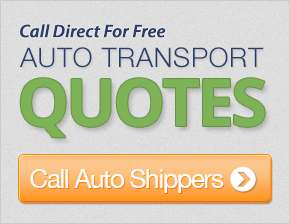 This is why many people use a car shipping service, which makes use of open or enclosed auto transport trucks and ships along roadways. If you are worried about auto transport cost, you shouldn't be. Train transport is far cheaper than you would expect and in many cases is comparable if not less than using the car transport services. Be sure to investigate what a train transport service can do to ease your auto transport situation.